“Moses and the Burning Bush” is one of the most well known biblical events where Moses encounters and speaks to Yahweh (God) for the first time. The burning bush was the place where God appeared to Moses and appointed him to lead the Israelites out of Egypt and into Canaan. Professor Benny Shanon hypothesizes that the whole event of the burning bush might refer to a psychedelic experience from DMT. This speculation was first made through the observation of plantation of the “holy land” consisting Acacia tree in which DMT is concentrated. He claims that encountering the Divine is one of the most powerful experiences associated with inebriation of high level of DMT. Moreover, Moses’ comment on the bush not burning up specifically reflects the change of time perception. People in DMT trip would only regain the concept of time once the substance wears off. Thus, gazing at the bush, Moses felt that long periods of time had passed in his internal physical domain while in the external domain only few minutes had passed. 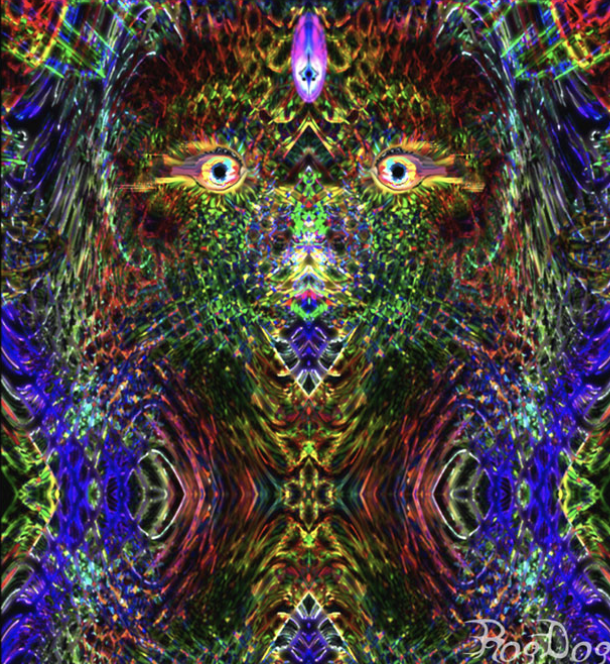 Supporting the idea, Rick Strassman, who was first approved by the government to study the effects of DMT on human subjects in experimental conditions, suggested that DMT experiences most closely resemble to the visions and experiences found in the Hebrew Bible. However, a journalist Harrison Morris highly doubts Shanon’s idea about the burning bush. He states that people in South Mexico, especially in Chiapas, use a tree called Mimosa Hostilis abundantly in many areas such as using it as a firewood to cook. Mimosa Hostilis is one of the plant which consists of DMT. However not a single person in the area was aware that the plant was psychoactive, and these people were people that were exposed to these chemicals in a daily basis. Importantly, the concentration of DMT in Mimosa Hostilis is around 2~3% which is so minimal that it is impossible reach the psychedelic threshold. In other words, a person hot-boxing with DMT will suffocate to death even before entering in any trip. Therefore, the theory of Moses’ experience with the burning bush seems just to be a mere, interesting speculation. But why in the first place are people making theories about psychedelic drugs and religious (god-encountering) events like the burning bush? It turns out that, it has been scientifically observed that psychedelic drugs can deepen religious experiences, and many current religious group over the world uses psychedelic drugs in its ritual purposes including the most well known Ayhuasca Ceremony. On Good Friday 1962, two groups of students received psilocybin or a placebo on a double-blind basis prior to the service in Boston University's Marsh Chapel. The results shows that nearly the entire group receiving psilocybin reported having had a profound religious experience which deepened their religious belief, compared to just a few in the control group. This scientific observation supported the entheogenic potential of hallucinogenic drug use which can play a role in genesis of a religion. Set and setting plays a significant role in psychedelic experience, and the religious set of mind and setting of a person intaking hallucinogenic drug can impact their belief in the religion in various ways. The reason for entheogen especially DMT to deepen one’s religious belief is that encountering a God-like entity is common. Terrence McKenna, a American ethnobotanist, is well known for his first experience on DMT while working on his study in UC Berkeley in 1960s. He stated that it produces a hallucinogenic experience that can induce a state or feeling that the user is able to communicate with other intelligent-life forms which he coined as “Machine Elves”. Moreover, the loud auditory hallucinations with the visuals commonly makes the user to lead themselves to think that those “entities” are talking at high volume and chattering. These factors, therefore, seems to lead people to gain religious epiphany with the entheogen. Therefore it seems convincing to accept idea that the entheogenic substances possibly played a role in the genesis of different religions. However, experts claims that when we move from generalities to specifics, the idea is less firm ground. What is the true identity of the drug soma used by the gods in the ancient Hindu Vedas? Or the nepenthe which is the "drug of forgetfulness" mentioned in The Odyssey. Or mushroom-like visual representation of numerous artworks related to Christianity? There is no clear answer to these questions that is backed up by scientific evidence. 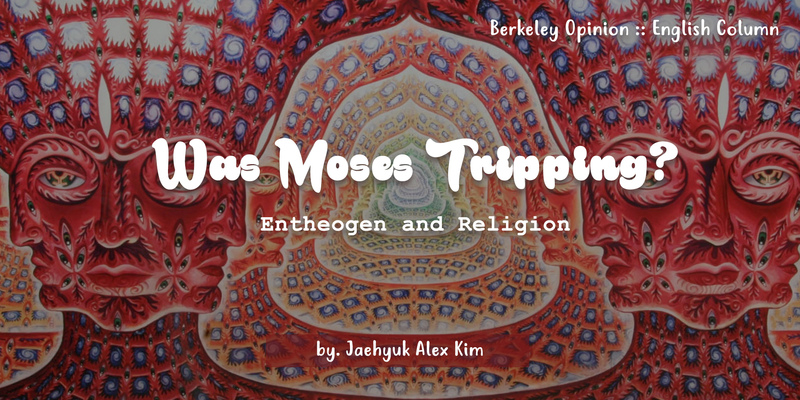 However, the parallel between entheogen experiences and religious records makes these question of religion genesis to be worth thinking about but not in too serious manner.